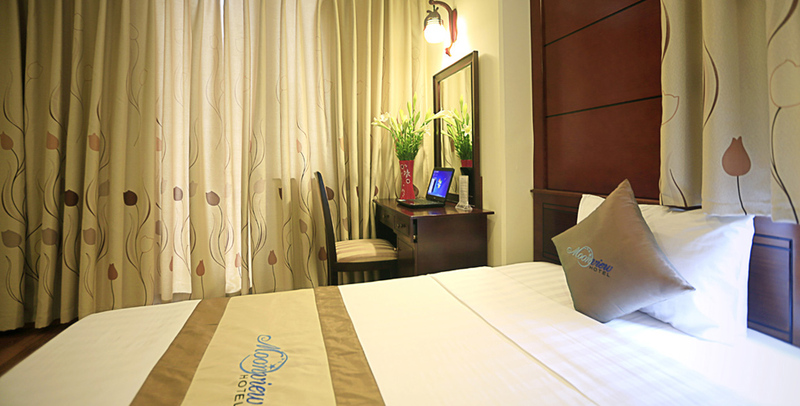 Boasting 5 rooms tastefully designed Suite city view with 2 balconies offering luxury, elegance and comfort. 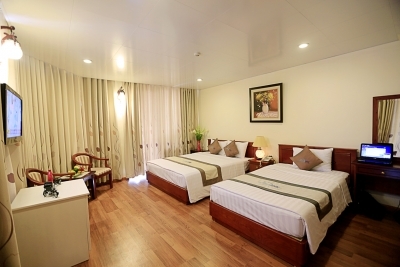 You will enjoy the panoramic view of City and spectacular of bustling Long Bien bridge. Daily buffet breakfast, 2 Daily complimentary/ room/day, Welcome fresh fruit plate, welcome drink, Free early check in and late checkout upon availability, free local information, free Newspaper in room.